"I'm off the deep end, watch as I dive in," sang Lady Gaga as she sat before a raving audience and a grand piano, sweat dripping down her forehead. This is not an unfamiliar setting for Gaga. Singing her heart out for millions of people is what she has loved and aspired to do since she became a sensation in 2007. Yet what made this such an avant-garde moment for viewers was seeing Gaga in this new light, and on the big screen in the heart-wrenchingly beautiful film A Star Is Born. PHOTO: Clay Enos / Warner Bros. Since its release on October 5, 2018, the film has received an amazing response from viewers across the world. 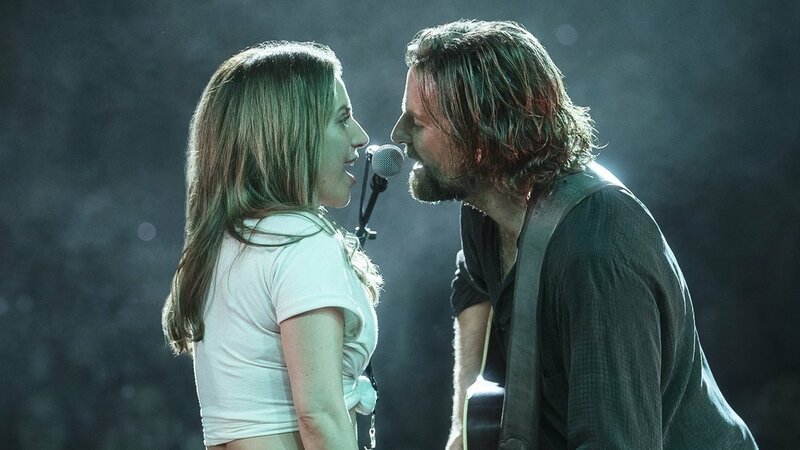 Fans have been leaving the theaters with streaming tears and a newfound appreciation for its stars, Gaga and Bradley Cooper. Crafting the perfect remake is not an easy accomplishment. The original A Star Is Born premiered in 1934 with Janet Gaynor, was redone in 1954 with Judy Garland, and once again in 1976 with Barbra Streisand. With precision and a thoughtful approach, Bradley Cooper was able to produce and direct the fourth remake in 2018. Often referred to as one of the leading men in Hollywood, Cooper definitely set foot into a new domain with this project. Both Gaga and Cooper have matured in their careers as time has proved. Once Cooper was just the hot, male lead in The Hangover while Gaga was the pop star who stepped onto red carpets in ridiculous outfits like a head-to-toe meat dress. The two demonstrate a beautiful chemistry on- and off-screen as they have shown in the premieres they've graced to promote the film. Despite A Star Is Born being a remake, Cooper definitely added his own touch to the film. Telling the story of a somewhat worn-out rockstar, Jackson Maine, the movie focuses on how this character meets Ally, a server who sings on occasion at the drag bar she works at. Their first encounter is raw and full of pure tenderness. Gaga's character sings "La Vie En Rose" laying just inches away from Cooper and nearly brings him to tears. Their relationship has such a natural essence and develops quickly in just one unexpected night. Sitting in a supermarket parking lot, Jackson discovers Ally's talent in songwriting and invites her to his next gig. Without revealing too much, it is easy to conclude that this is where Ally becomes a true star. While both Gaga and Cooper deserve great recognition for the roles they play, it is also incredibly important to praise the inclusion of the major issues that the story highlights. Even though the film focuses mostly on the success of Ally's career, it also significantly relays the very fragile portrayal of Jackson's personality. Even in 2018, it is surprising to see a male lead unravel in the way Jackson does. The film has an authenticity that not only speaks to unrequited love, but also to the implications that come with it. Jackson's struggle with alcoholism, addiction, and his overall mental health is addressed through Ally's never-ending support for him. Cooper has a cinematic way of showing the dark side of love and loss through real, messy stages of the characters’ relationship. Showing that men cry, and can have the ability to feel in completely vulnerable circumstances is such a critical triumph for Hollywood. This aspect of the movie speaks to the need for breaking gender norms and shattering the preconceived notions about male masculinity. Not only does the film feature these elements visually, but it also tells Jackson and Ally's story through the music. The soundtrack to A Star Is Born is a masterpiece in itself with songs that take the viewer on an emotional rollercoaster. From the blossoming chemistry of the first songs Jackson and Ally perform together, to their separate identities as artists, and finally to the sum of their relationship, the soundtrack hits all the the main points of the movie with perfection. Every song seen in the movie was performed live and was truly a transformational experience for viewers. This film was a gratifying product of both Gaga and Cooper's early dreams. Cooper revealed in an interview with Entertainment Weekly that he had heard verses in his head and wrote songs since he was a young child. Gaga, on the other hand, attended NYU's Tisch School of the Arts, for acting until she dropped out to pursue music. Moreover, this was not a unforeseen accomplishment for both of them. The response to the film has been impeccable, and Gaga and Cooper seem extremely grateful for their chance to share this with the world. Gaga described the artistic endeavor and final product beautifully when she said, "There is no dreaming too big. What people can do together is so much more powerful than what they can do by themselves."